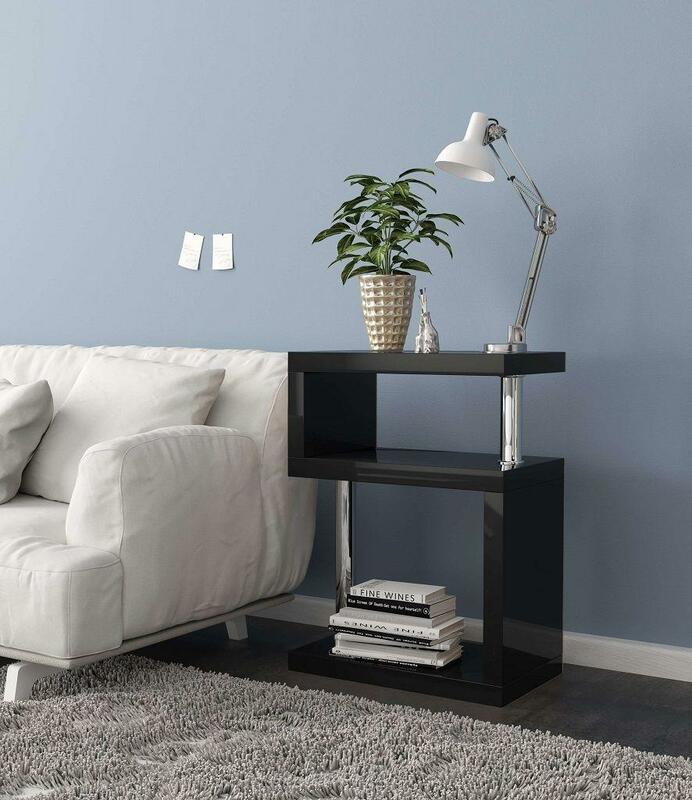 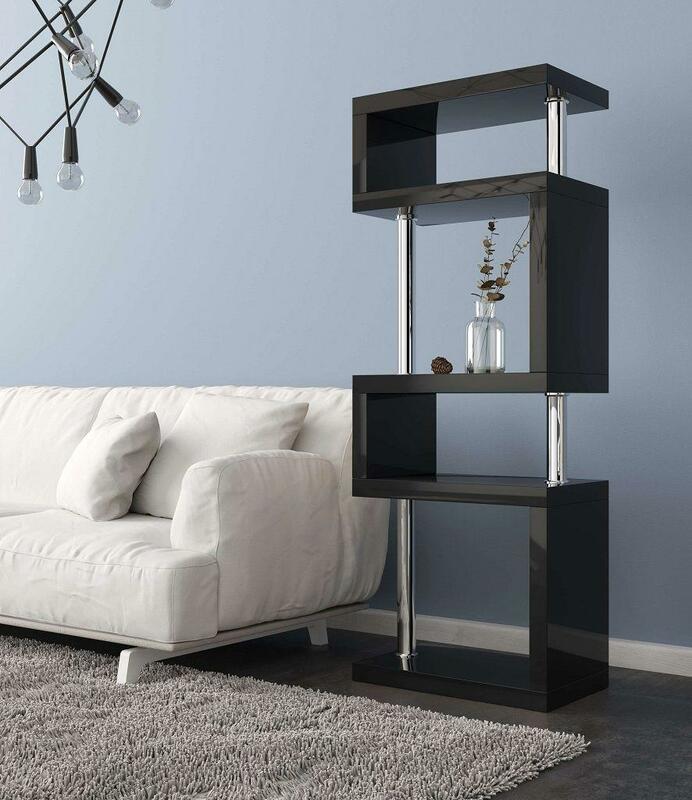 The fantastic Black High Gloss Large 'S' Bookcase is a contemporary & unique storage solution for your Living or Dining Room, Bedroom or even your Home Office! 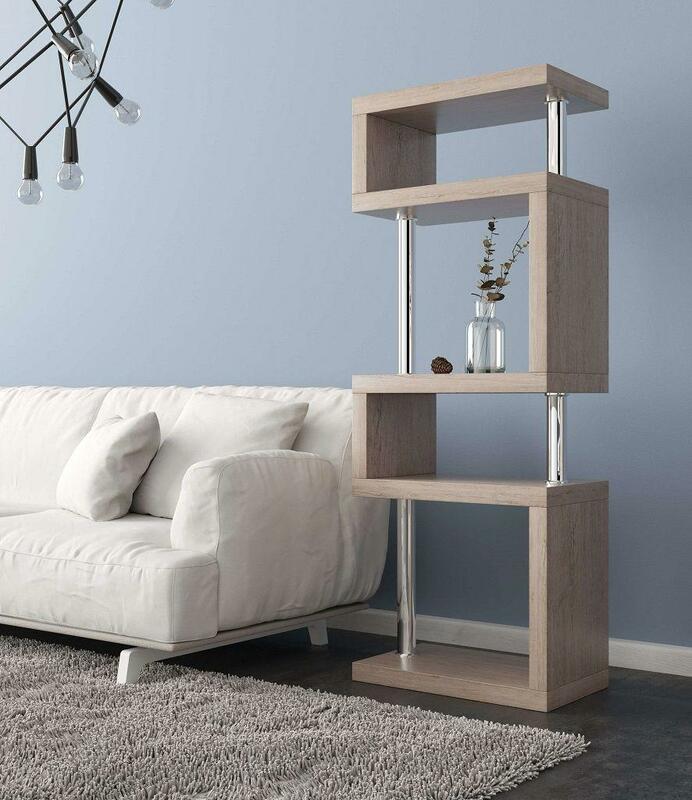 Providing a sleek bookcase with 5 open and easy access shelves to neatly store your favourite books, files and display photographs, artwork, sculptures or brighten up a room with radiant flowers. 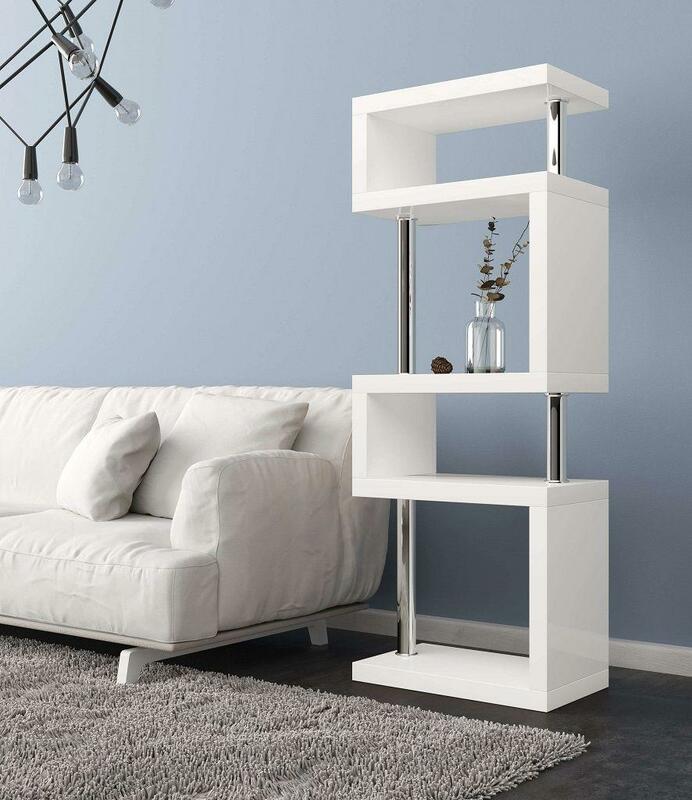 It can even be used as a handy room divider! 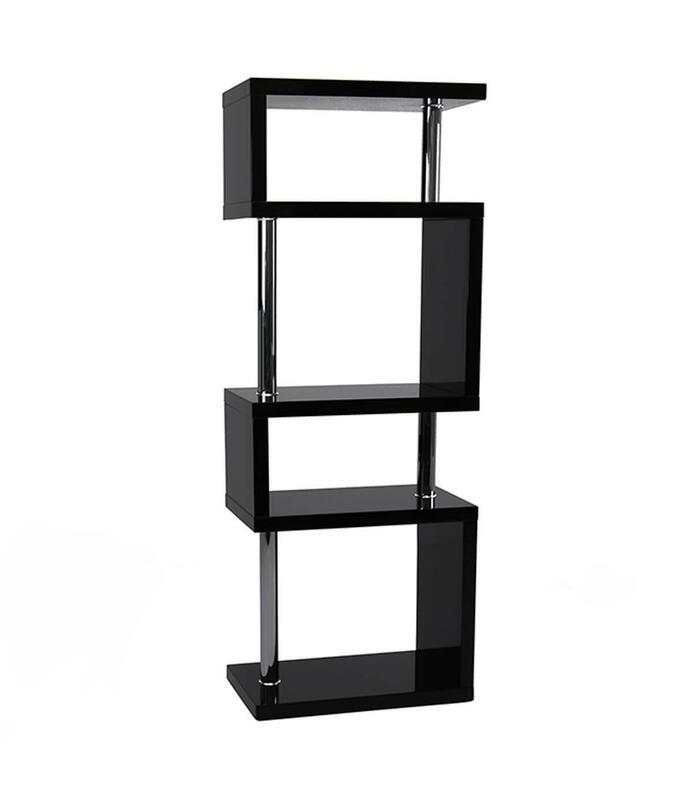 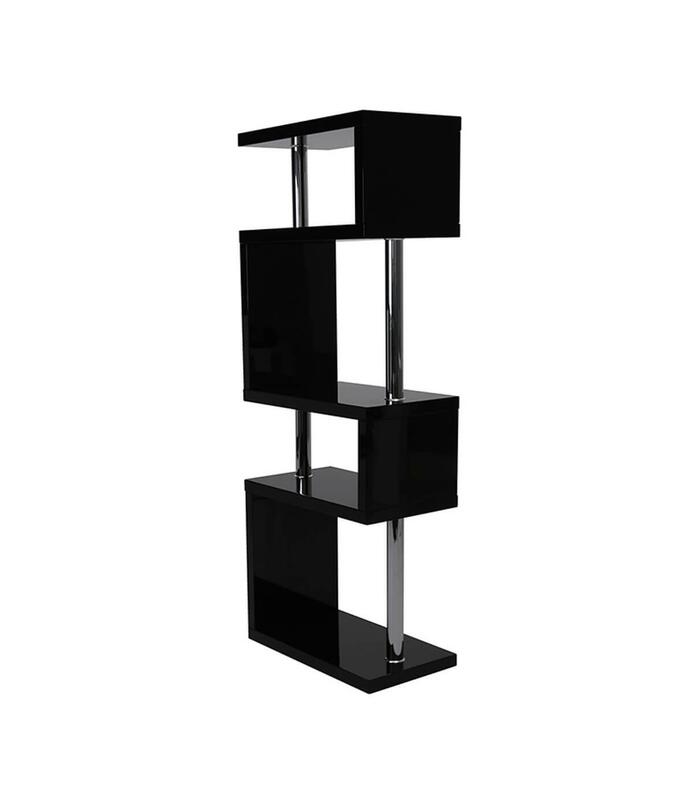 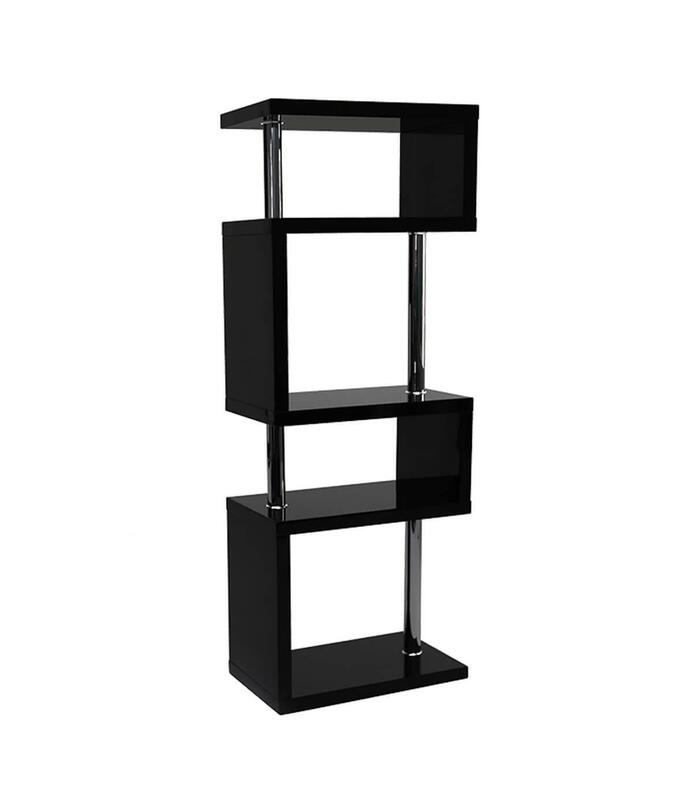 Carefully constructed with a beautiful black high gloss frame and completed with chrome finished supporting columns to achieve a modern yet simple design. It is also available in Medium & Small so you can find the bookcase size for you and your space, whilst also available in Black, Grey, Red, White & Ash!